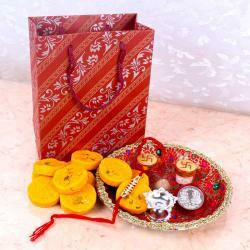 Product Consists: Beautiful 5 Rakhi, Pack of Soan Papdi Orange Flavor (Weight: 200 Gms), Laxmi Ganesh Silver Plated Coin (Weight: 10 Gms)along with Packet of Roli Chawal. 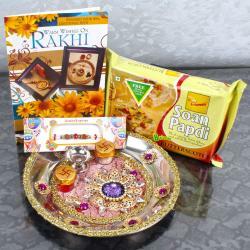 This Raksha Bandhan Combo has almost everything you need to treat your brother to some packaged goodness. 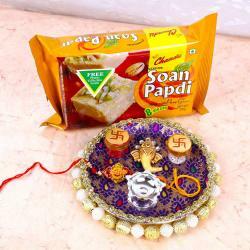 Indulge your brothers sweet tooth and make him feel more special courtesy this Rakhi which looks amazing and should definitely look fabulous on your brothers wrist. 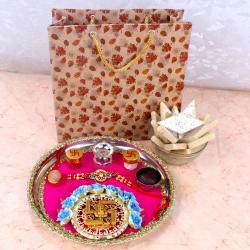 Roli Chawal is also present in this special pack. 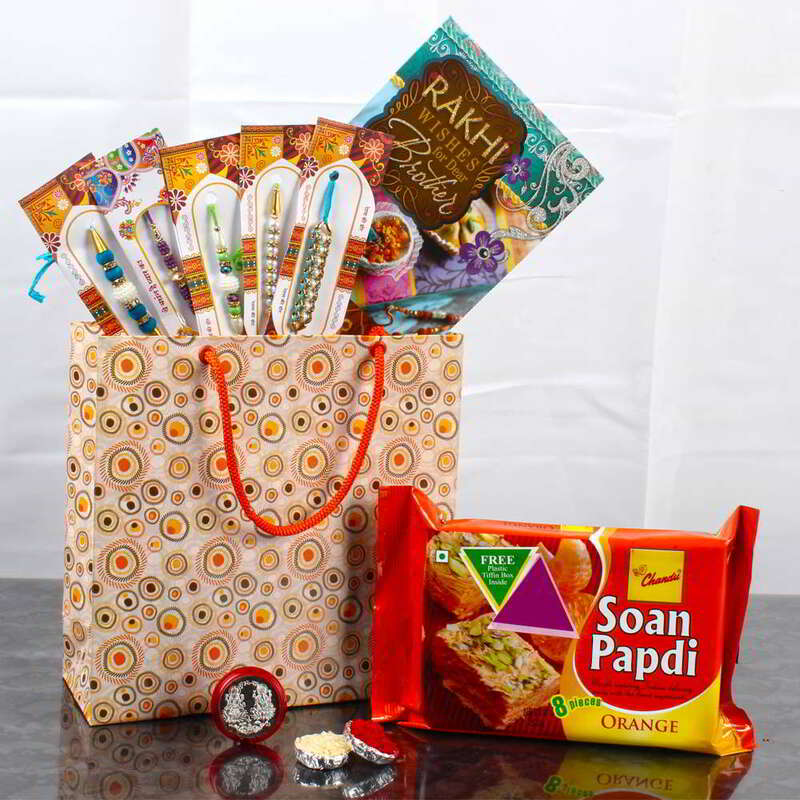 This Exclusive Rakhi Goodies Bag Includes : Beautiful 5 Rakhi with Pack of Soan Papdi in Orange Flavor (Weight: 200 Gms) and Laxmi Ganesh Silver Plated Coin (Weight: 10 Gms) along with Packet of Roli Chawal.